I always love meeting fantastic new women representing the drinks industry. I do a lot of work in the world of whisky (see here) but am keen to take in as much about various other spirits as possible – it is rather pleasurable work, after all. But what really inspires me is all of the other women out there making their mark in increasing numbers. 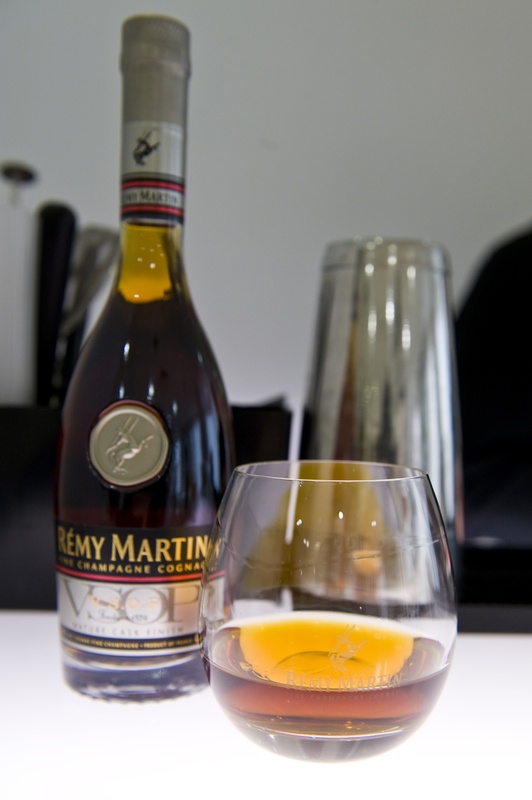 At a recent unveiling with Remy Martin Cognac I had just that experience. 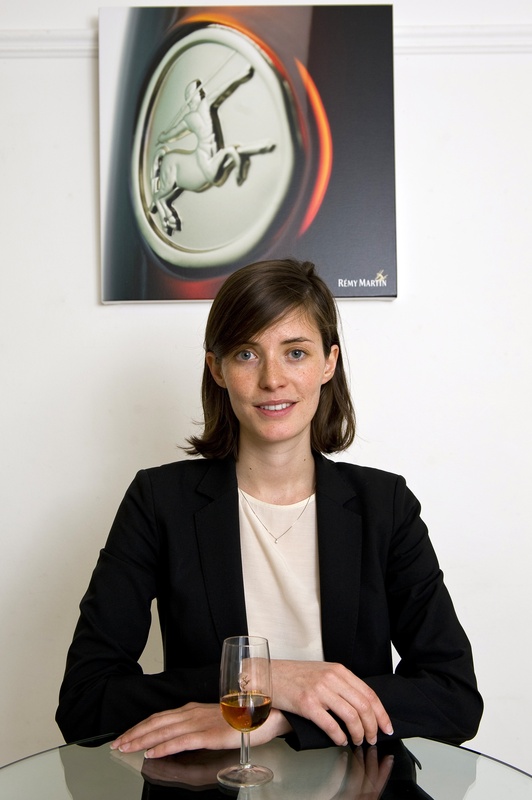 There I met brand ambassador Anne-Laure Pressat, a young French woman who you could tell was genuinely passionate about the drink, not just because she was representing it but because she had a real spirit for it. She was also only too eager to tell me about the company’s history and answer my myriad questions about the new release. So, what was this latest bottling? Called the VSOP Mature Cask Finish, the latest release differentiates itself by finishing its (minimum) four-year maturation in smaller cognac casks that are at least 20 years old, thereby giving it a deeper flavour and richer finish. But, going back a few paces, how is this cognac made? Well, Remy Martin (founded in 1724) is produced in the Cognac region, using a mix of grapes from the growing regions of Petite Champagne (located further south) and Grande Champagne. More than 1200 producers supply the company with grapes that are turned into eaux-de-vie through distillation and then blended by the master distiller to create the product which will be matured in casks made only from new French oak. The cognac that is produced falls into three categories: VS, VSOP and XO – the first representing cognac matured for at least two years, the second equating to those matured for at least four years and the latter producing cognac matured for six years. Funnily, Anne-Laure told me these letters mean nothing in French, but only in English (Very Superior, Very Superior Old Pale and Extra Old). The decision to release the Mature Cask Finish has been a part of a revamp by Remy Martin to do what many drinks companies are aiming for at the moment: refresh the brand and garner new (read: younger) converts. A streamlined bottle also came out in January, which may not seem like much, but this was the first time the bottle had been changed since 1927. The company is also trying to target a fresher audience by promoting the use of the product in cocktails. Already seen as a popular choice within the rising middle class of Asia, the product is also increasing in popularity in the US amongst trendy bartenders keen to find new products to display their talents with. 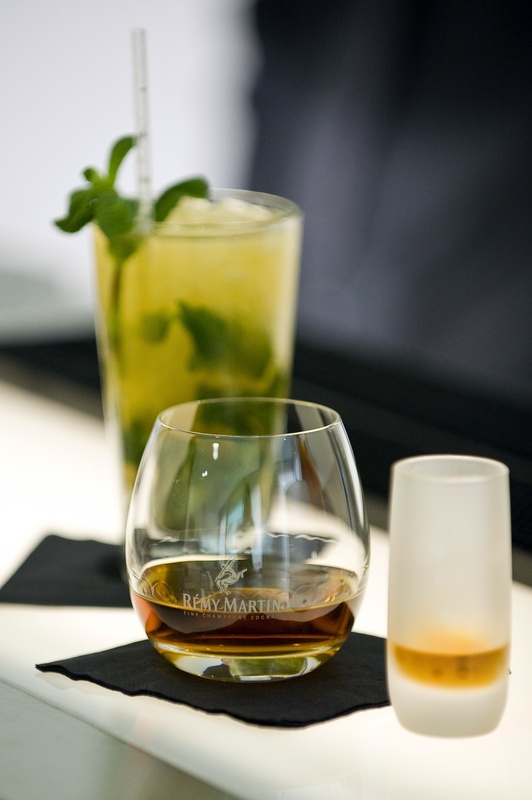 At the launch, I tried their version of the mojito – while I liked it and it packed a sour punch with a rich hit from the cognac to finish it off, I still preferred the drink served neat, with its notes of cinnamon spice, oak and caramel. After doing the tasting with Anne-Laure I discovered one more thing that made me overjoyed: the company’s cellar master is a woman! Pierrette Trichet has served since 2003 and proves there are more and more doors opening up for women in the spirits business. And, as I sit back with a small glass of the Mature Cask Finish, I think, that can only be a good thing! My life has been filled with more drink tastings of late than a swarthy pirate. Not that I’m complaining…especially when it sees me sit out my afternoon in a most obscure locale. Recently, I headed down to that rather traditional store called Harrods. Cognac was to be drunk and I was invited. 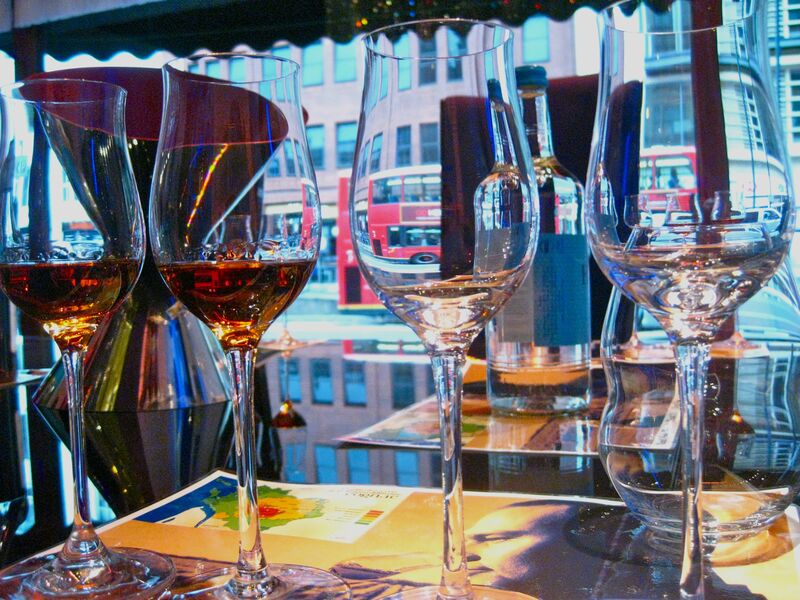 But the cognac was no ordinary cognac – the bar, no ordinary bar. 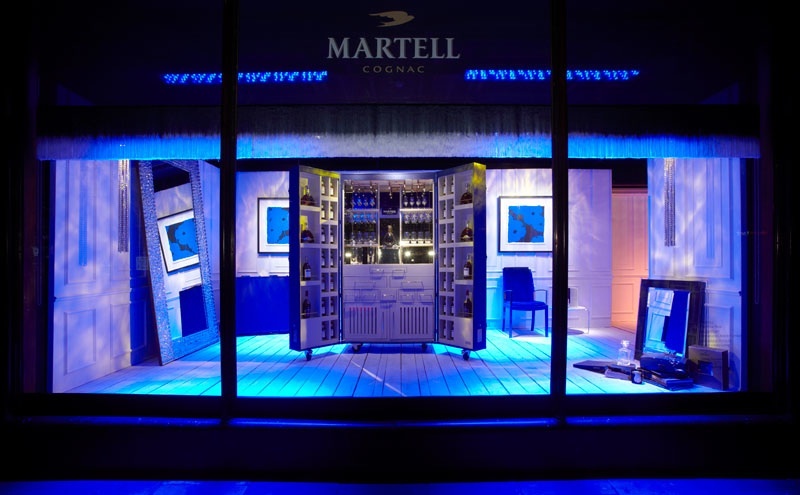 Instead, I found myself ogled by tourists – wandering by on Brompton Road, equipped with cameras and curiosity – as I sat, trying to look ever-so prim in a window display while I drank some choice cognac from Martell. 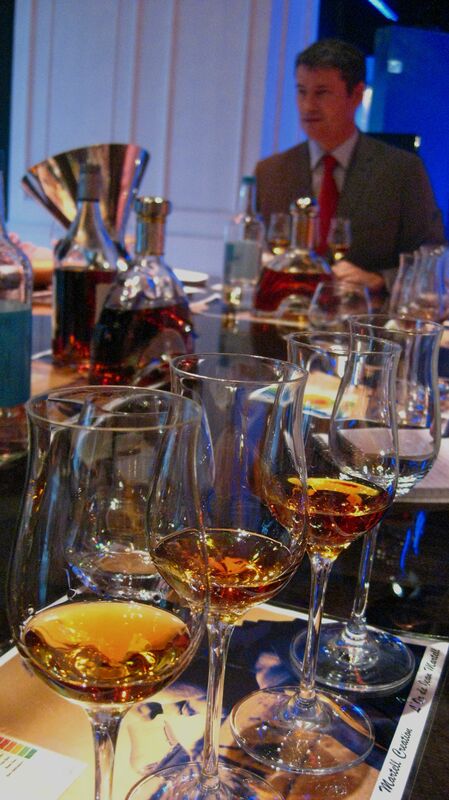 The occasion was all a part of a push by Martell to up the profile of its fine-line cognacs in Britain. So, the company decided, what better way to do this, than to have a massive window display, featuring a sleek and beautifully designed trunk with all of its premium cognacs, in the premium store in London! The trunk, made over 1,000 hours by ten master-craftsmen, and designed by Parisian company Pinel & Pinel is a sight to behold: filled with the 28 eaux-de-vie which represent what goes into the four ‘cru’ used by Martell to create its signature cognacs and featuring those four cognacs as well, the 2.06 metre tall trunk is something special. But, seeing as its price tag comes in at a rather hefty £200,000, and seeing as I haven’t won the Euro Millions of late (sigh), I opted to simply taste the cognac rather than invest in a whole portfolio. So, after exploring the trunk in all its glory, we sat with Thierry Giraud, Brand Development Manager, to learn more about cognac and be gawked at by the plebs (ie: doing exactly what I’d normally be doing if I were on the other side of the glass). We learned how Martell began making cognac in 1715 after emigrating from Jersey to sunnier climes in south-western France. We learned how each cognac contains eaux-de-vie from four terroirs: Borderies, Grande and Petite Champagne, and Fins Bois, which are distilled and aged in 350 litre, fine-grained oak casks to stop it having any woody or aggressive flavours. We learned it is becoming most popular with the emerging upper classes in China, Vietnam and Indonesia, who drink it as a salute to getting the first big job (while we here in Britain, with our unemployment rate skyrocketing, choose White Lightning…maybe I should move to Asia?). Oh, and we drank – I almost forgot that part. Delicious, smooth, soft-oaked, sometimes bitter, orangey, almondy cognacs…including some from the L’Or de Jean Martell, a £2,998 bottle of the finest kind. It was my favourite, but then, I do have expensive taste. The Martell Trunk will be on display in Harrods until the 22 October and available to purchase for £200k, if you happen to have that laying around in your change drawer.